It's been 3 days since the snow came to Devon, the first snow in 5 whole years and our first ever 'Red' weather warning. Everything really came to a standstill, the UK isn't equipped to deal with these weather conditions. All the local schools closed, much to the children's delight and we now have igloos and snowmen scattered around the garden. In the meantime, I have taken the opportunity to stay warm and concentrate on learning about seamless repeat patterns in photoshop. 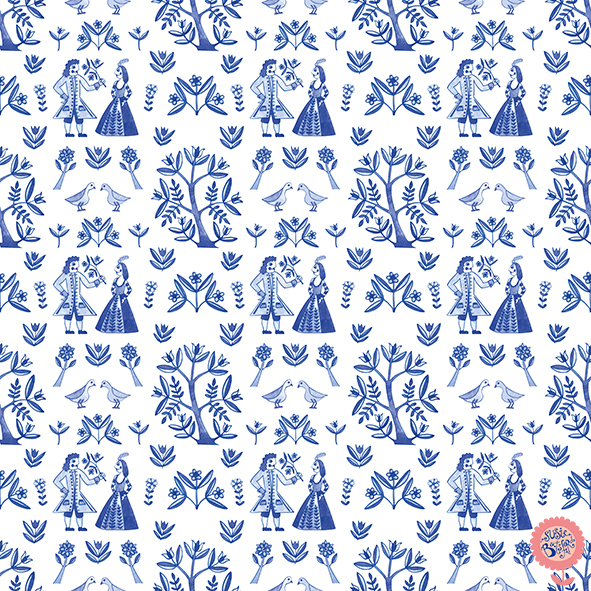 I've taken some of the icons from my vase of flowers to make this repeat pattern to be used as wrapping paper with my Mothers Day card for Folio Focus. It's taken forever to learn, but I have finally achieved what a year ago, seemed like the impossible!